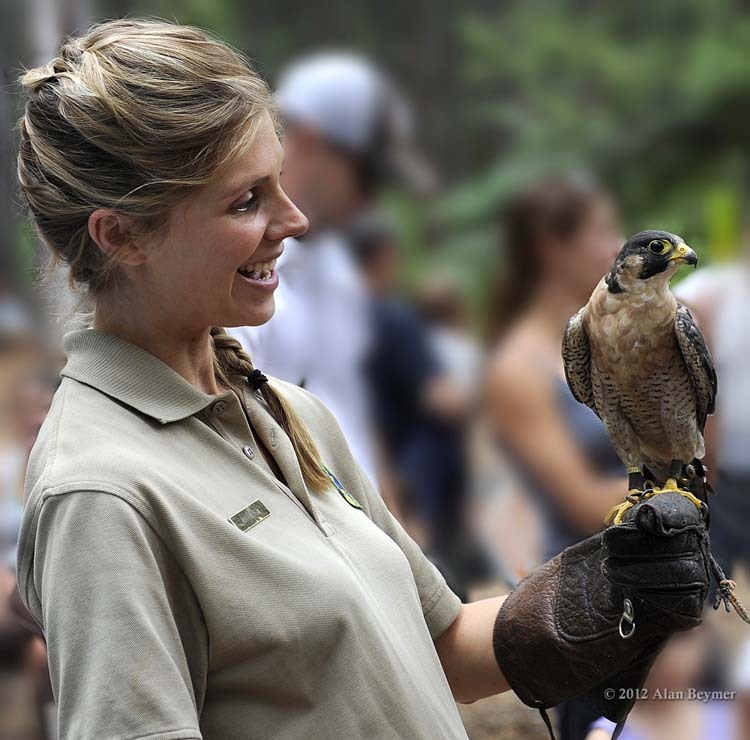 The programs that are held during the summer for visitors, campers, and locals alike provide a variety of experiences as they learn about and explore the Park. None of these programs would be possible without the support of Calaveras Big Trees Association. 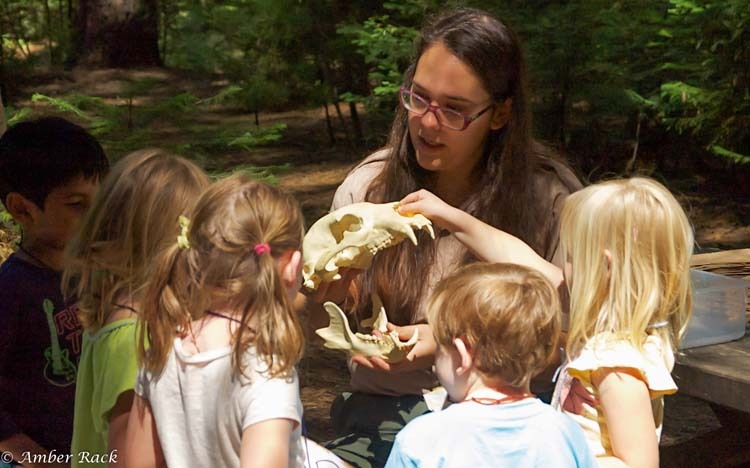 Junior Ranger Programs: These programs are designed for 7-12 year old children. This program usually lasts an hour and the subjects for the programs are different every day. Jr. Cubs: These programs are designed for 3-6 year old children with an adult. This program usually lasts an hour and the subjects for the programs are different every day. North Grove Guided Tours: This gentle hike lasts from 1½ to 2 hours. The tour guide will lead you on an exploration of the North Grove and provide insight you might not get on your own. 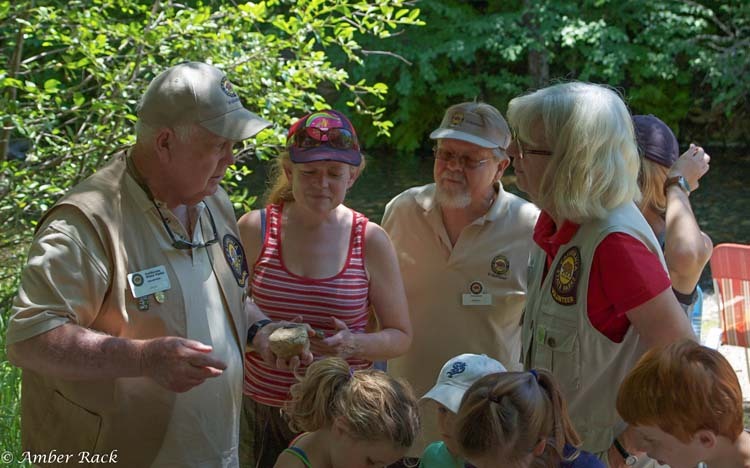 Creek Critters: This program meets at Beaver Creek Picnic Area where participants will learn all about what goes on in the creek. Campfire Programs: These programs are presented by Park Aides, Interns and volunteers and involve different subjects such as stargazing, storytelling, singing and “hug a tree” which is put on by Search and Rescue. For more information on specific programs, please call 209.795.7980 or 209.795.3840.